They are always on time, and there is never a problem with scheduling. The office is clean, and the staff is polite. The doctors are amazing, and they are always ready to answer any questions that I may have. They were all so very easy to communicate with. It's a very good place. They pay attention to small details about your lifestyle and what you use your eyes for. It's updated, fast, and a really nice office. 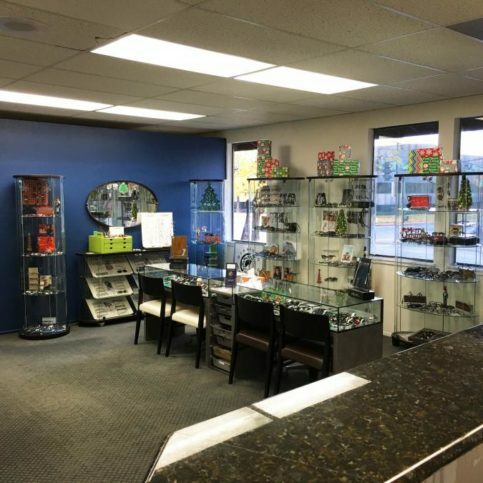 Diablo Valley Optometric Group provides a wide range of eye care services for all types of patients at two locations in Antioch and Walnut Creek. 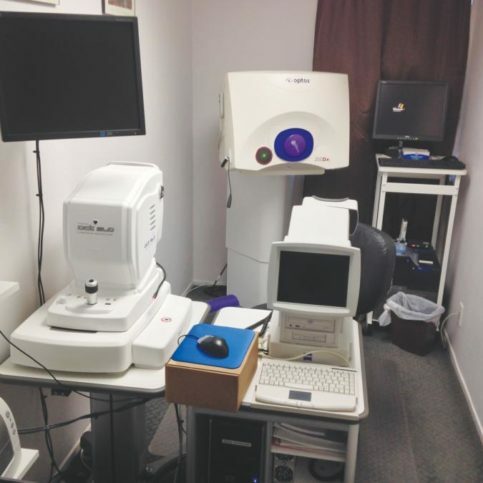 In addition to performing complete eye health examinations and fitting patients with glasses and contact lenses, the practice has the training and equipment to treat various eye diseases, conduct diabetic retinal evaluations and optomap retinal exams, and provide post-operative care for patients who have undergone refractive eye surgeries. 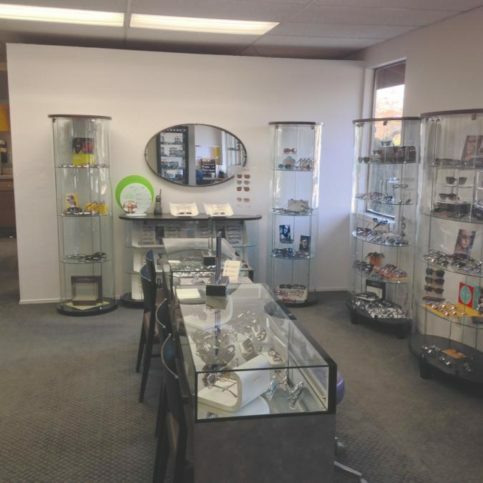 Patients can choose from the latest eyewear fashions in Diablo Valley Optometric Group’s optical shop. 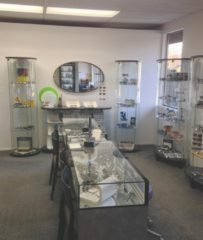 Diablo Valley Optometric Group has been providing eye care services for all types of patients at two locations in Antioch and Walnut Creek since 2002. In addition to performing eye exams and fitting people with glasses and contact lenses, the practice has the in-house capabilities to treat eye diseases, conduct diabetic retinal evaluations and optomap retinal exams, provide post-operative care for patients who have undergone refractive eye surgeries, and more. Making a medical decision based on Internet self-diagnosis tools can also be dangerous because most of those tools are designed to help people decide if they need to see a medical professional, not to provide an accurate diagnosis. A better idea is to catalog your vision problems and symptoms in writing and make an appointment to see an optometrist—they’ll use their equipment and knowledge to diagnose any eye issues and provide treatment plans that won’t cause you unnecessary stress. Q: What’s the difference between a contact lens prescription and an eyeglasses prescription? A: The FDA classifies contact lenses as a different product than eyeglasses because they physically sit on eyes. If an eyeglasses prescription is wrong, you won’t see correctly and you’ll probably get a headache; if a contact lens prescription is wrong, you can physically damage your eyes and cause permanent vision loss. The material of the lens (curvature, thickness and diameter) plays an important role in how it fits, and some brands vary in the way they transition from one curve of the eye to the other. Q: What if I’m not sure what kind of contact lenses I wear? A: You can bring in the packaging from your last prescription or a lens you’ve been wearing. Most lenses have laser markings on them, so we can look at yours and tell you what kind it is. The brand will make a difference in how your contact lenses fit and feel, so it’s important to get the right type for your needs. Q: How will you make sure my new contact lenses fit properly? A: We’ll take the time to find a good initial fit for your contacts, and we’ll also schedule at least one follow-up visit to make sure the lenses are working out. A: We accept many kinds of insurance, but you should call us before your appointment to make sure we accept yours. Some insurance plans don’t offer optometry coverage, and some have preferred providers in the area and won’t cover our services, so we can’t take every type of insurance. Q: Do you have to dilate my eyes during my exam? A: That depends on the services you need and the tests we recommend. 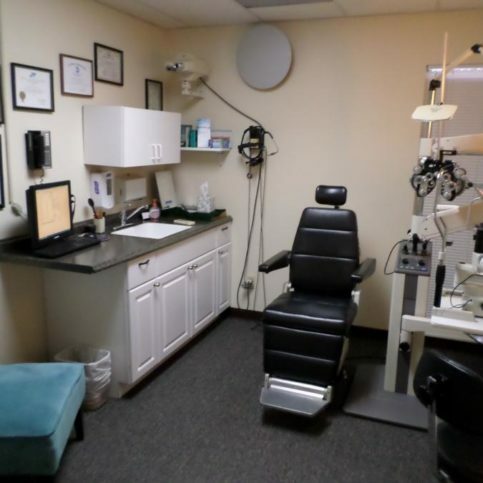 In some cases, we don’t have to dilate because we have equipment that provides a very good view inside the eye, but if we see something concerning like small holes in the retina, we’ll recommend dilation so we can get a closer look. 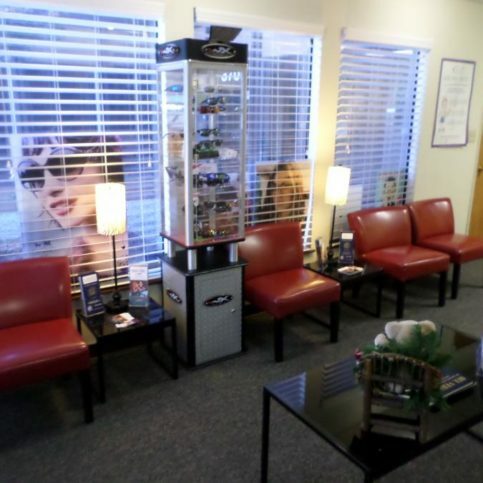 Diablo Valley Optometric GroupÛªs spacious waiting area provides a comfortable spot to browse frames or read magazines. As a Diamond Certified Expert Contributor, Dr. Ottati shares insights with his patients. 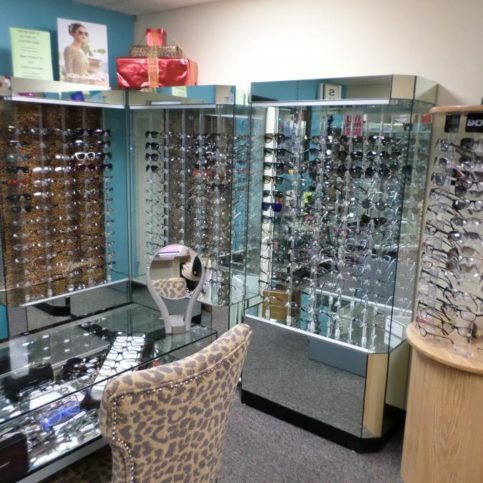 Patients can choose from the latest eyewear fashions in Diablo Valley Optometric GroupÛªs optical shop. 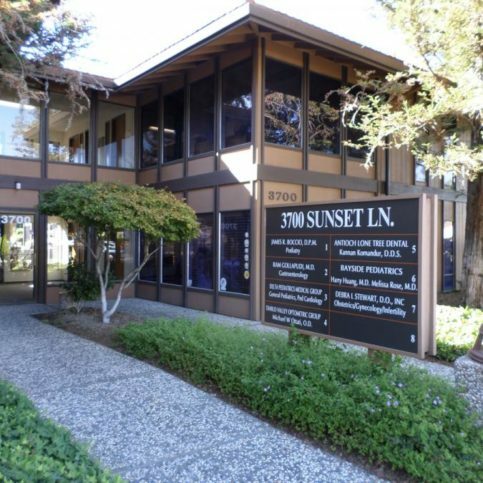 Diablo Valley Optometric Group has been rated Highest in Quality by its patients. 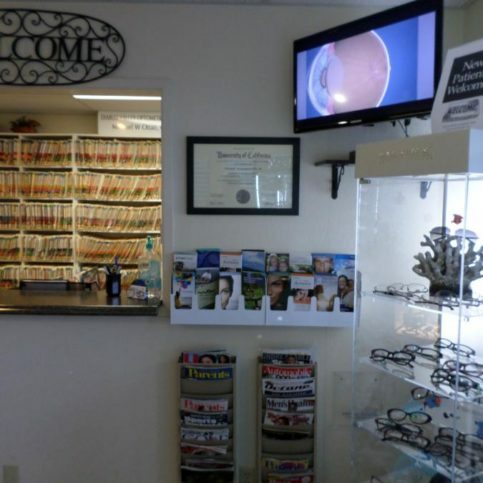 Diablo Valley Optometric Group offers a large selection of the latest frame styles. 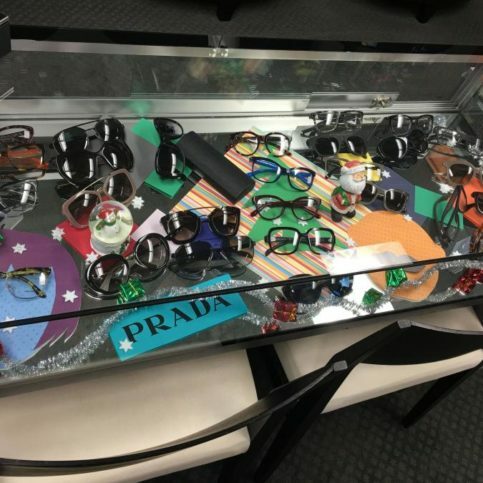 Diablo Valley Optometric GroupÛªs staff can help patients select the right eyewear styles for their needs. 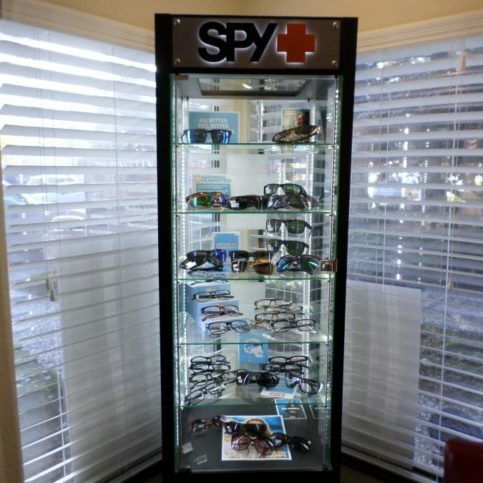 Diablo Valley Optometric GroupÛªs waiting area includes video educational resources. 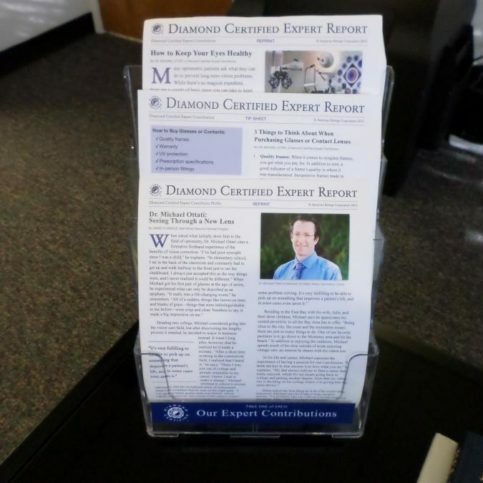 Dr. Michael Ottati is president of Diablo Valley Optometric Group, a Diamond Certified company since 2013. He can be reached at (925) 331-0362 or by email. Residing in the East Bay with his wife, Julie, and their three children, Michael says he appreciates his central proximity to all the Bay Area has to offer. “Being close to the city, the coast and the mountains means there are just so many things to do. One of our favorite pastimes is to go down to the Monterey area and hit the beach.” In addition to enjoying the outdoors, Michael spends much of his time outside of work restoring vintage cars, an interest he shares with his oldest son. A: A 1967 Pontiac Lemans. Q: If you could drive any car, what would it be? A: Probably a Ferrari—either the 458 or the FF. Q: What’s one country you’d like to visit and why? A: Italy, because both my wife and I have Italian heritage. I actually Googled my name and found a village called Ottati on the western coast of Italy, so of course we’d have to go there. Q: What websites do you visit on a daily basis? A: M5board.com and bimmerforums.com—they’re both BMW forums that I visit pretty regularly. One of the first steps to maintaining optical health is to wear supplementary eye protection. Safety glasses and other forms of protective eyewear can prevent potential injuries while you’re engaged in work or activities that pose a risk, such as wood or metal work and sports like basketball and football. Another important form of protective eyewear is sunglasses, which guard your eyes from harmful UV rays—a major contributor to the development of cataracts, retinal disease, macular degeneration and even cancer. Another important proactive step is to pay attention to your general health. Not only does proper nutrition support eye health, but vision problems can actually result from seemingly unrelated health issues. For instance, one of the biggest causes of blindness in the United States is diabetes, and even high blood pressure and cholesterol can contribute to permanent vision problems. For this reason, maintaining bodily health through nutrition and exercise is one of the most important steps you can take to keep your eyes healthy. ANTIOCH — Host, Sarah Rutan: Whether or not you require glasses in your daily life, its important to know how to care for your eyes to avoid injury. Today, we’re in Antioch with Diamond Certified Expert Dr. Michael Ottati to learn more. Diamond Certified Expert Contributor, Dr. Michael Ottati: A lot of people ask what is it that I could do specifically to take care of my eyes, to help prevent long-term vision problems? And there’s nothing magical, but there are some basic things that you can do that will help prolong your vision and help keep your eyes healthy. Really, the first thing is not get them hurt in the first place, you know, wearing safety glasses, wearing protective eyewear. If you have any hobbies where you’re working in the garage or woodworking or gardening, having a real pair of safety glasses. I see so many injuries that could have been preventable and caused really serious damage. That’s really the biggest thing that we’re called in for when there’s an emergency of someone hurting themself. The same thing goes with sports. Kids in sports, adults in sports, I see a lot of fingers in the eye in basketball players. And, again, you know, a simple pair of sports glasses will go a long way in protecting the eyes. And patients should realize that something like this, you know, these are not safety glasses. They might keep some real minor things out of your eyes, but if you get hit with something flying at you, they’re not going to hold up. The other thing is just being healthy in general. The biggest causes of blindness – one of the biggest causes of blindness in the US is diabetes. So, taking care of your health, taking care of your blood pressure, your cholesterol, those are all things that will cause serious and generally permanent damage to your vision. From a general health standpoint, you know, wearing sunglasses keeping the UV out of the eyes. UV is a major contributor for cataract development. It’s also a major contributor for retinal disease and macular degeneration. Another thing that people don’t think about as much with the eyes is cancer, and it does happen both in the eye and on the surface and around the eyelids. And the eyelids, especially, are very susceptible to skin cancer. And, again, sunglasses are going to go a long way in protecting that part of the eye, the external portion and the internal portion. And then just a good diet, antioxidants are helpful. You know, green, leafy vegetables, if you have a good diet it will keep you healthy. It’s good for the retina, it’s good for the lens. It helps reduce retinal and cataract sorts of diseases. 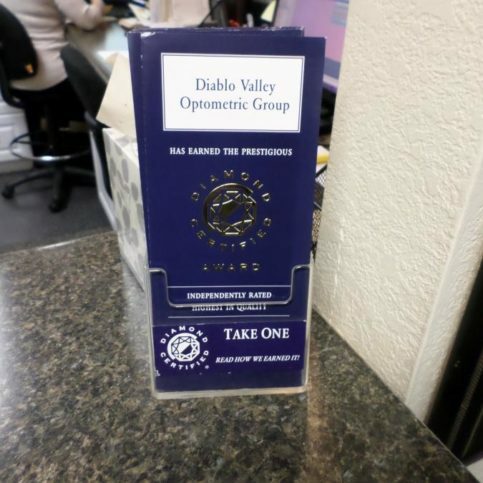 Diablo Valley Optometric Group : Average 9.1 out of 10 based on 209 unique customer surveys of customer satisfaction. They are just a wonderful facility, and I am very pleased with the work the doctor has done for me over the past 20 years. They have been okay thus far. It was close to me. He is very patient, and he listens to what the patient has to say. Their appointment service is really reliable, and they are pretty much available if you are looking for an appointment within a certain time. They have a good selection of eyeglasses. Michael Ottati is super nice and caring. They have a friendly staff. They are a good place to go. I went in there recently, because I had a problem with the frames of my glasses, as they were broken on one side. They were having a hard time fixing my frames, but they were able to fix them in the end. Other places were not able to fix them. It was really straightforward, and I didn't have to wait around. They help you choose the lenses that are best for you money-wise. The office staff is nice, and the doctor is great. They have been very accommodating, and they are close to where I live. The office is clean, and they have a good selection of glasses. The doctor is just amazing. He is a really great guy. They are very thorough in what they do. I have told people about them. They are just very efficient in their diagnosis. The staff is really nice and cordial. They are helpful, and the doctor is very thorough and likable. Everything, you don't have a long wait for your appointment, and they get you in and out pretty quickly. The doctor and the girls, it is a very comfortable office. Don't go anywhere else and just go there. They are really good. I would give them an "11". I like their attitude there. They are fun. It is great. They are open on the weekends. They are very clear about the services that they provide and what your insurance covers. They have good availability. They're very helpful. I've been going there forever, about 15 plus years.